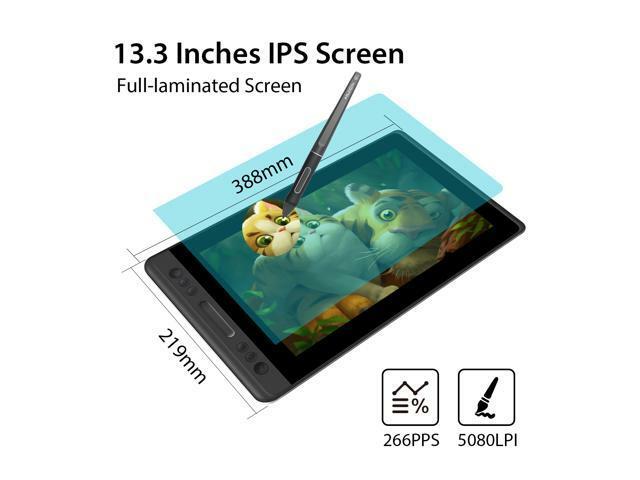 13-inch Compact Size: Featuring a 13-in IPS screen, the weight of Kamvas Pro 13 is within 1KG and the thickness is 11mm, only a little thicker than a mobile phone. It is easy to put in your backpack and carry. Full-laminated Anti-glare Glass Panel, Less Offset: Thanks to the full-laminated screen technology, the stroke you drawn is accurate and natural, and almost without offset. 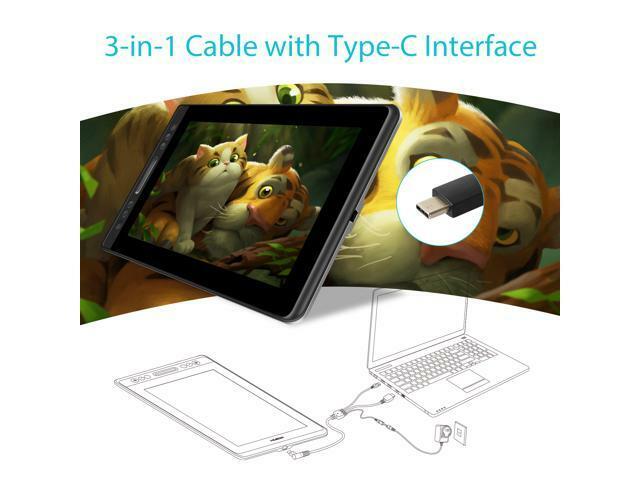 Besides, the screen surface is covered with anti-glare glass, effectively reducing the "glare" effect and providing better protection for your eyesight. 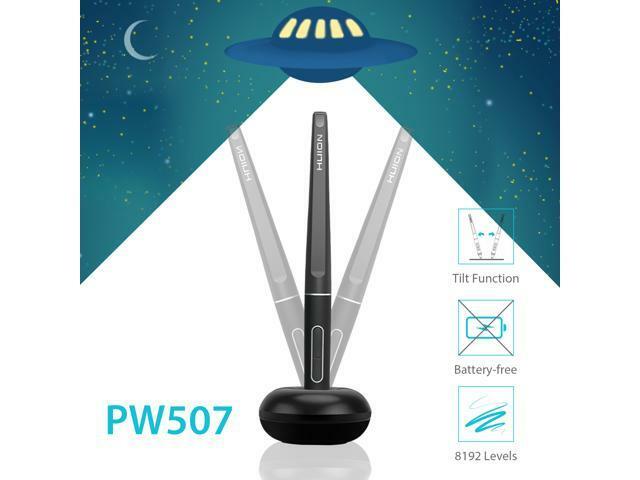 8192 Levels Pen Pressure with Tilt Function: Comes with 8192 levels of pen pressure, PW507 battery-free pen is easy to achieve pixel-level painting display. 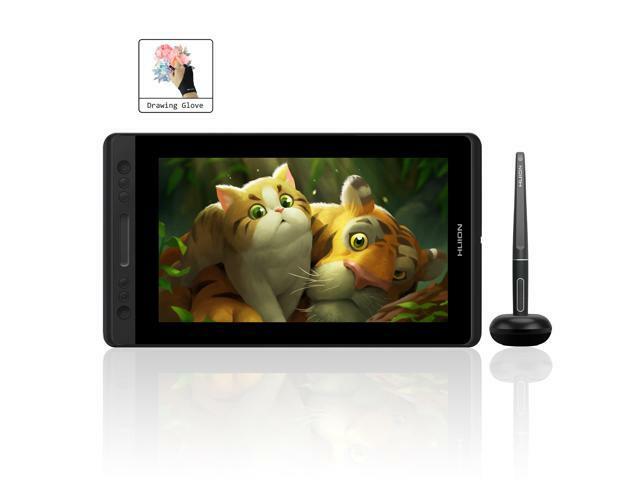 Plus with ±60 degrees of natural tilt recognition, you will have much more fun when drawing. 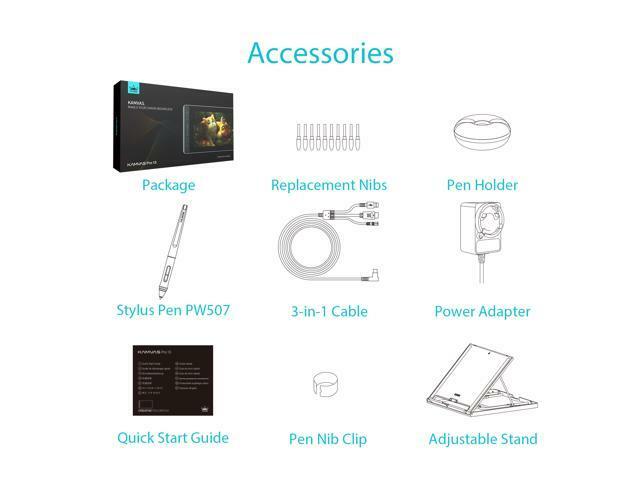 The Highest 266 PPS Report Rate: Comes with the industry’s highest report rate, you can have better performance and quicker response when working on the pen display. 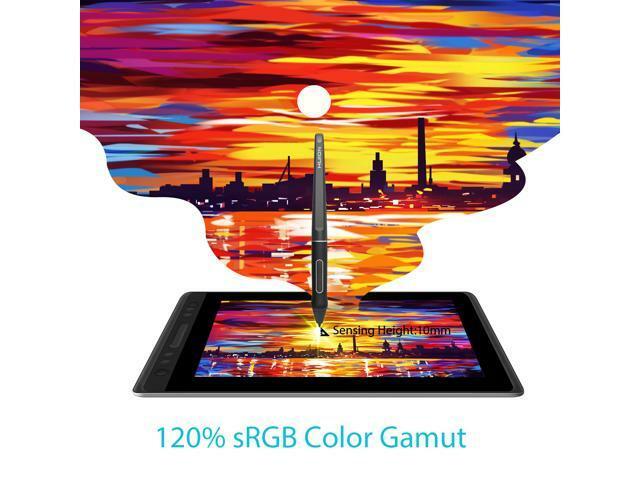 120% sRGB Color Gamut: Adopting the same color space as digital printing which covers 120% sRGB color gamut, this device cannot only provide users with a wider field of view but also present a wider color gamut, offering richer colors and more natural transition. 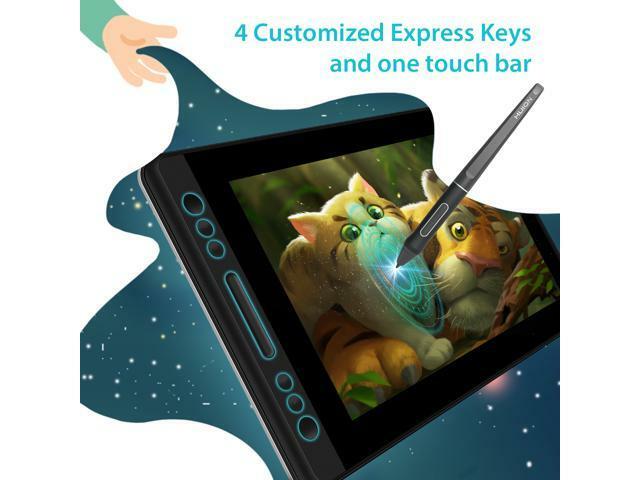 4 Express Keys and 1 Touch Bar: The combination of 4 express keys and 1 touch bar cannot only save your time but also enhance your productivity. You are free to set up your preference express keys. The New Designed Adjustable Stand: With the integrated folding design, you are easy to open the stand, you don’t need to spend lots of time to set up the stand. Also, thanks to the multiple anti-slip design, the stand enjoys extravagant stability. The surface of the stand is made of aluminum alloy, giving it a fashionable look. Compatibility: Compatible with Windows 7 or later, and mac OS 10.12 or later.